Bed and Breakfast Rooms - £10 non-refundable deposit per person when booking and balance payable on arrival. 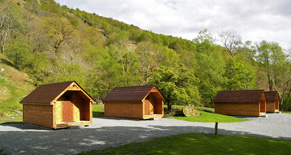 Camping Cabins - Full payment is required when booking. Credit card payments over the phone preferable. If paying by cheque make it out to Beinglas Campsite. Full refund of camping cabins if cancelled 48 hours or more before arrival. Full amount charged if under 48 hours notice of cancellation. Camping is payable on arrival. 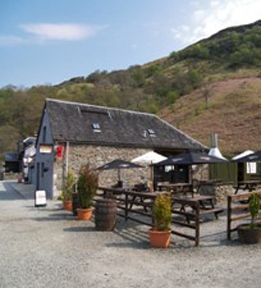 Groups - We do not take large groups unless they are walking The West Highland Way on route to Fort William. We also do not take stag or hen parties. Dogs are accepted on the campsite for a charge of £1 per dog but must be kept on a lead and under control at all times. They are not accepted in camping cabins or rooms. There a no noise policy after 10.30pm and campers must be considerate to others at all times. Children must be supervised by an adult. We do not allow open fires. Disposable barbeques are permitted only on suitable surface i.e stone or gravel. Alcohol - Your own alcohol must be drunk at or in your tent. Only alcohol purchased in our bar can be consumed in our beer garden. Anyone under serious influence of alcohol will be asked to leave the premises. Abuse of staff will not be permitted. STRICTLY NO PEDESTRIAN AND VEHICLE ACCESS TO CAMPSITE AFTER 11PM. SECURITY GATES CLOSE AT THIS TIME. If you are booked with us and will be arriving later than this time please call to let us know. We reserve the right to refuse entry to anyone we feel will not comply with campsite rules. If you have any questions regarding our terms and conditions please don't hesitate to contact us on 01301 704 281.